Plant of the month. 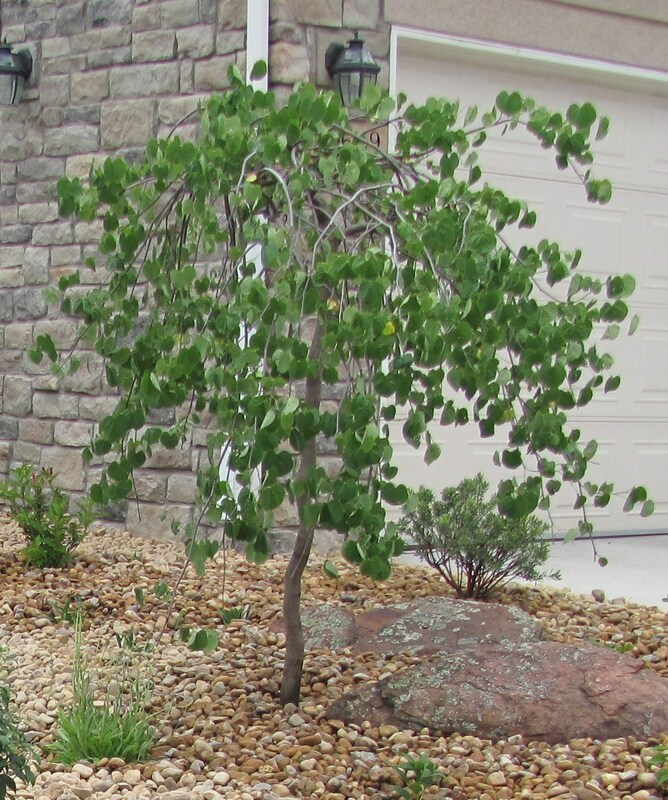 June 2014: Lavender Twist Weeping Redbud – Glacier View Landscape and Design, Inc. The heat of June is not quite yet upon the Front Range of Colorado, and this year I am still patiently awaiting the full leafout of the Lavender Twist Weeping Redbuds. A little temperamental , Cercis Canadensis ‘Covey’ discovered and propagated in 1991 in New York, is a great addition to any garden with it’s weeping form. Small at 8’ or so once established and hardy to Zone 5b, Glacier View is pushing the species here in East Central Boulder County at zone 5a. Hence, the slow leafout, at least this season. Sometimes the flowers get zapped by a late frost, but in warmer years, what a great specimen for year round enjoyment. Spring brings a flush of lavender blooms that cover the weeping form. Requiring moderate moisture, it is quite at home with the spring rain and snow we get here on the Front Range. Heart shaped leaves emerge late in the spring, as late as June 1st in zone 5a. Additional water is required through the summer months and it seems more at home in a prepared soil environment than in Colorado clay soils. Fall color emerges as a bright golden yellow, and its distinctive weeping form provides interest even in the winter months when it has lost its leaves. Planted in moderate to filtered shade makes this specimen the most happy, though some do fine in full sun. The original specimen was planted in full sun, but had a Lilac overtake it for many years before the Lilac was removed to reveal the specimen. What a fun plant to have! Birds rest atop it while waiting their turn at the fountain or bird feeders. I stop to look every time I pass it! So far, mother nature has been kind to it, though a winter trunk wrap might do it good while it is young. Find one in your local nursery, definitely not in a big box store, and plant it in an intimate shady spot in your landscape for year round enjoyment. We’re proud to serve communities near Thornton, Colorado with our landscape design & installation services.